White Chocolate Snickers, say what!! Yes this limited edition bar has somehow made its way over here whether intentionally or by fluke, I do not care because finally I get to try it! Snickers have created some real goodens, there was the joy that was the Snickers Ice Cream, the Peanut Butter Snickers and the Mini Snicker Bites that were lethal because before you knew it you had snaffled the bag. Now the White Chocolate Snickers isn’t a newbie as such as it was circling Europe a year or so ago, and people in the UK were going crazy to try and get their hands on a bar. So much they were going for crazy prices on eBay. Nonetheless I had practically forgotten about it until my Dad whipped out a bar he saw in our local newsagent. Winning!!! With white chocolate comes the fear it is going to be horrendously sweet and taste artificial. Thankfully that is not the case here. 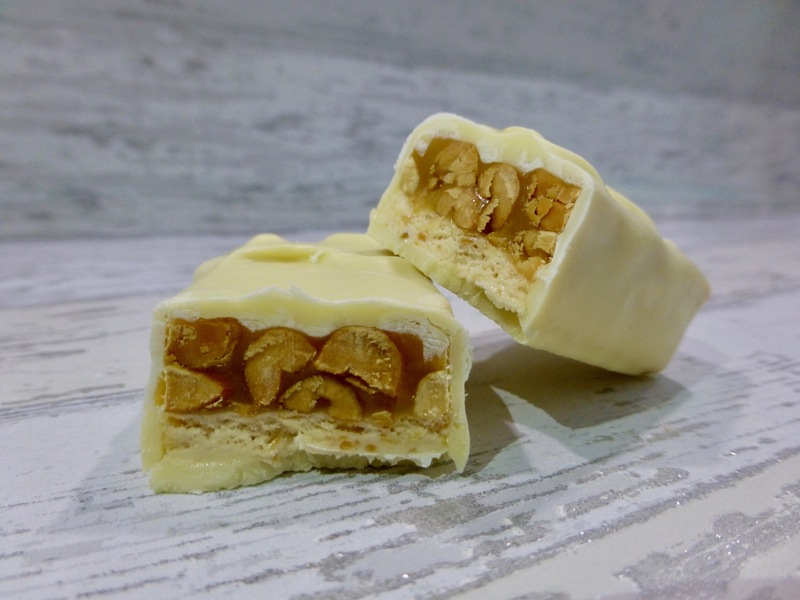 The white chocolate coated the nougat, caramel and peanuts and was light and quite creamy for a standard chocolate bar. Despite the amount of peanuts crammed on in there, oddly I didn’t get that really intense peanutty taste that you get from an original Snickers, you know the one that lasts for hours. There is no difference in the make-up of the White Chocolate Snickers to the original, other than the obvious swap to white chocolate yet to me this just seemed to be lacking a bit. On the whole the White Chocolate Snickers is an enjoyable bar and an obvious addition to the Snickers range. It isn’t my favourite, frankly I don’t think you will ever beat the original, but if white chocolate is your thing you will most probably like this one. 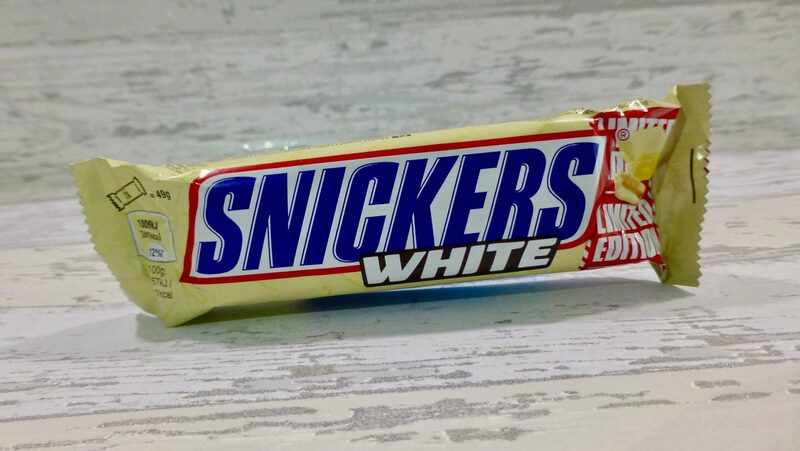 Have you tried the Snickers White? What are your thoughts?